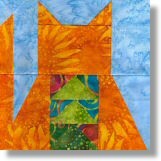 Here is another fun quilt block to add to your cat block collection. It is a 6" paper-pieced quilt block pattern that features three Flying Geese units. Note: When paper-piecing, I cut larger pieces than I actually need to ensure that I won't have problem covering an area if I don't place it in exactly the right spot. The cutting instructions below are for larger pieces. If you'd rather cut smaller, more exact pieces, feel free to do so. 2-1/2" Square (Cut 1) Cut once diagonally for two triangles. 2-1/2" Square (Cut 3) Cut each one once diagonally for six triangles. Step 1: Print out the paper foundation pattern. Cut out each of the two paper-piecing units just outside of the dashed lines of the seam allowance. Step 3: When both of the two units have been pieced, carefully trim away the excess paper and fabric by cutting on the dashed lines of the seam allowance. Step 4: With right sides together, layer Unit B on Unit A. Pin in place, then stitch together using a 1/4" seam allowance. Remove the paper from the seam allowance (on both sides) and press this seam open. Step 5: Carefully remove the paper from the back of the block. 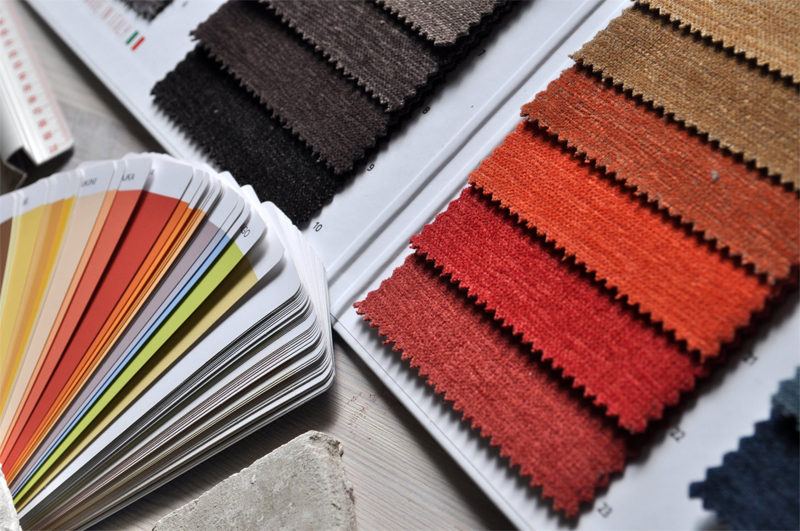 Not sure how to paper-piece? Learn how with our Foundation Paper-Piecing Tutorial! 6" Love Me, Love My Cat!